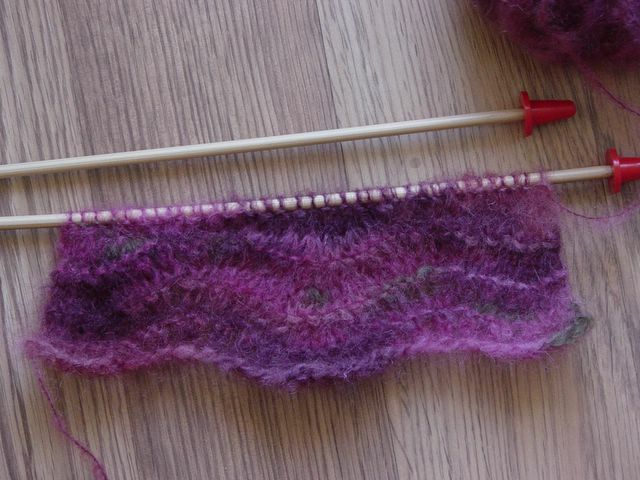 I'm about five balls into the Lady Eleanor Stole using Noro Kureyon 87. Entrelac is surprisingly much easier than I thought. I really love the way this looks in Noro. I had a few knots in the yarn, but thankfully it's not too noticeable. Oops, sorry about that image not showing up! It looked fine in the post preview! All done…yeah! I like how it turned out more than I thought I would with this variegated color. 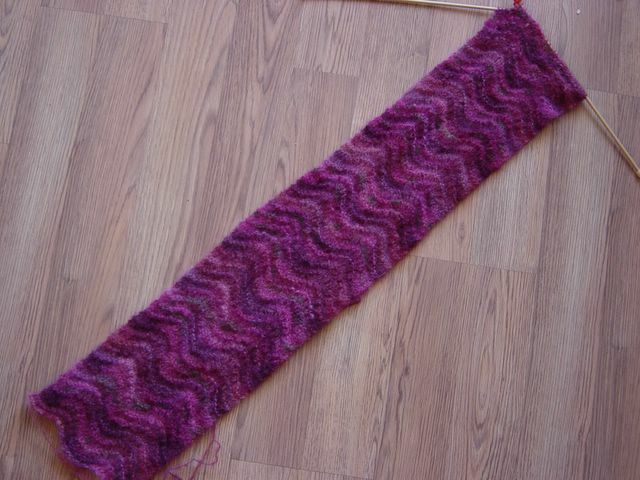 I used a ribbon (almost like a shoestring feel) yarn called South West Trading Company: Phoenix 100% Soy Silk. I got it on sale at my local yarn store so it cost me $14 plus time. I’m going to make a black one next for evening wear. Love it! 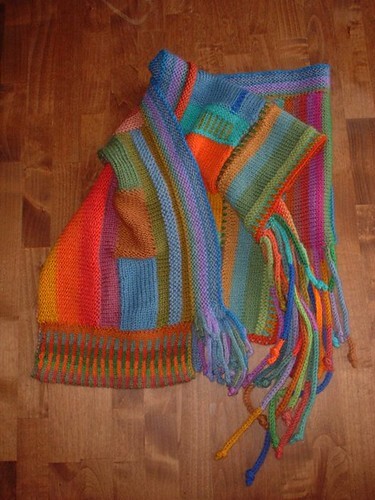 I just received an email from Marie, the woman behind KnitCast. 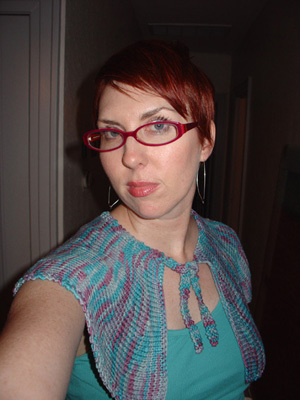 She recently interviewed Pam Allen and the subject of our humble knit-along popped up. This edition will be available in a couple of hours (I'm posting this at 5 p.m. Central). I've finally finished this scarf. It was a really fun knit I just kept getting distracted. 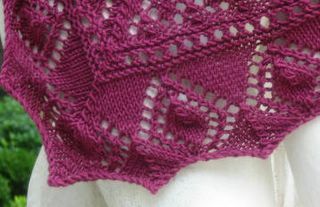 I used handpaintedyarn.com merino in "little lovely" pinks. It's super cozy... I'll just have to wait for the weather to dip below 70 to wear it :-) And I made mine more narrow that the pattern says to. So I started with 56 stitches. I started Misty Garden last night. 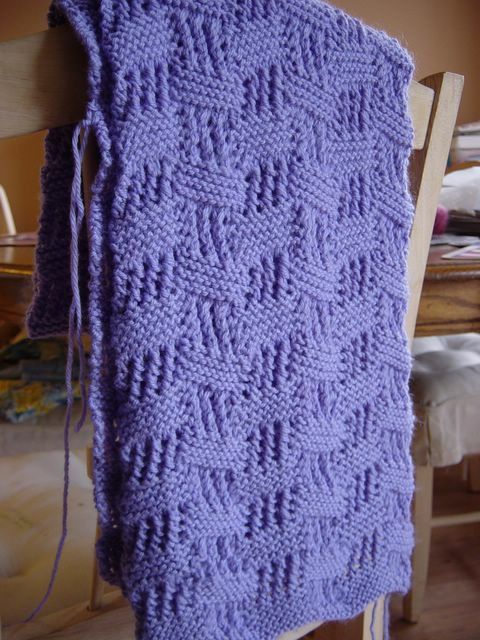 This is about 4 repeats. I'm using the Jo Sharp Rare Comfort Kid Mohair as the book suggests. 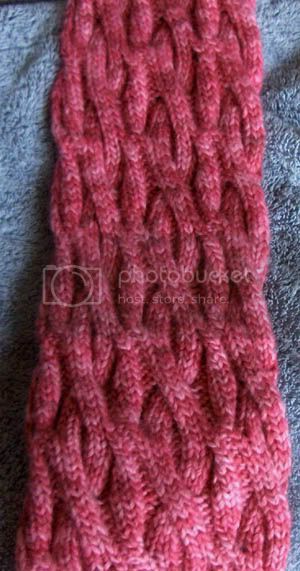 I had a hard time with the yarn in the beginning and it doesn't frog well, but the pattern is easy and I memorized it quickly. It's hard to tell from the picture but the pattern is really pretty. Hi all! I just finished Midwest Moonlight. 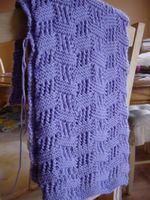 I just need to weave in the ends and block it. 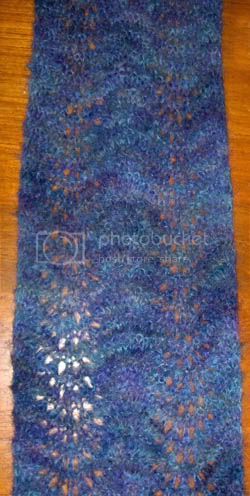 I used KnitPicks Merino Style in Cornflower. I really struggled with this in the beginning, frogging numerous times, but finally got into the groove! I learned a lot from this pattern. This one is for my daughter's preschool teacher, but I plan to make one for myself as well. I just received my Jo Sharp yarn yesterday so I'm going to make Misty Garden also. Happy knitting everyone! I've really enjoyed getting to see all the WIP's and FO's. I'm thinking the turtleneck shrug next.